“No,” said Strike, who had only caught footage on the news. Regardless of whether you watched the wedding of Prince William and Catherine Middleton, aren’t those assumptions patronizing and chauvinistic? Yet, Robert Galbraith, an ex-British Army officer who continued to work in security in civilian life, should know exactly how men like Detective Inspector Eric Wardle and army veteran investigator Cormoran Strike are reasoning. “Rosalind Galbraith” might be an officer with similar qualifications and also with a distinguished career (top secret – only her name can be disclosed), but would you trust her fictional depictions? Would you find her storytelling to be as natural and convincing as Robert’s? One can only speculate about Rosalind. Robert Galbraith’s identity, on the other hand, was questioned early after his debut novel, The Cuckoo’s Calling, was published. “After getting a tip that the Robert Galbraith was J.K. Rowling, Richard Brooks from The Sunday Times did some detective work on his own – he found that “the editor, David Shelley, would be in charge of both someone as important as J. K. Rowling — a very big job, indeed — and someone as seemingly unimportant as Robert Galbraith. On Robert Galbraith’s website , J.K. Rowling answers why she has chosen to write Cormoran Strike books as a man and whether writing as a man influences her writing. For me this is incredible that a professional, an editor who had edited Rowling’s previous novel, could be so simply misled. History, however, teaches us that the editor wasn’t the first professional to be fooled by a male name and an assumption about what a woman can and cannot write. Wuthering Heights, a classic of English literature, was published in 1847. The author name “Ellis Bell” was the pseudonym of Emily Brontë. Emily’s eldest sister was Charlotte Brontë. Charlotte’s most famous novel, Jane Eyre, was also published in 1847 under a male pen name – Currer Bell. Middlemarch by George Eliot has been described as the greatest novel in the English language. The author’s real name was Mary Ann Evans. Prejudices belonging to the long bygone Victorian times? I recommend to read the entire article, as some of the facts it brings are fascinating. Other famous examples are listed in an article titled, “Want to be taken seriously as an author? Be a man”. There are also counter-examples, of men using female pen names. In the early eighteen century, when young Benjamin Franklin could not publish a letter in his brother’s paper, he adopted the pseudonym of “Mrs. Silence Dogood”, a middle-aged widow. Mrs. Dogood’s letters were published, and became a subject of conversation around Boston. Fast-forward to the twenty-first century and to the most popular genre – romance. Many writers adopt distinctively female pen names. Supposedly, romance readers (who are mostly women) don’t trust men to correctly portray emotions (for example, see this article). Much funnier (at least for me) is when professionals are misled by male/female pen names. Just a few days ago, TIME Magazine named the author Evelyn Waugh on female most-read list ☺ ! “If Evelyn Waugh had been born a woman he would have been the 97th most read female author in college classes, according to TIME Magazine. 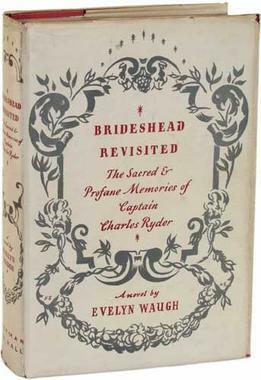 But the late English writer best known for his books Brideshead Revisited, Decline and Fall and A Handful of Dust, was not of the gender that would fit TIME Magazine’s 100 most-read female writers in college classes. This morning the publication released its list but was quickly made aware of its mistake on social media. TIME Magazine later corrected the story, and now Marguerite Duras holds 97th place. This entry was posted in fiction, science fiction, writing and tagged authors, famous writers, feminism, gender, literature, pen names, pseudonyms, speculative fiction. Bookmark the permalink.